On Friday you were challenged with trying to Name That Place. 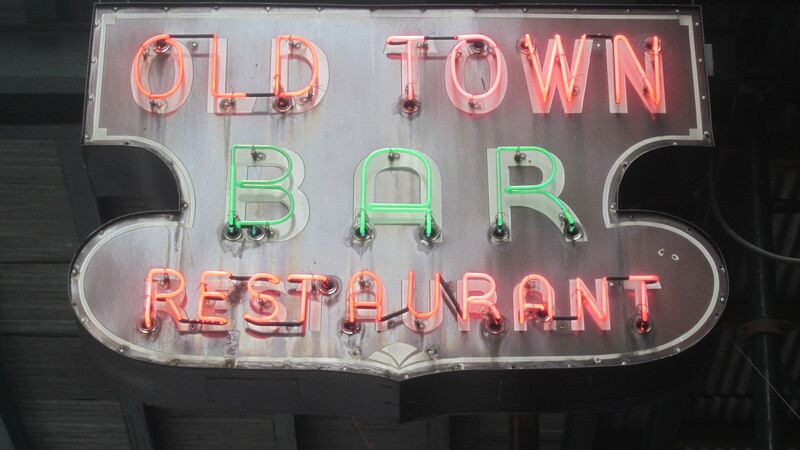 I thought the photo hints gave away this 40-plus year old Upper East Side institution. But I was wrong. 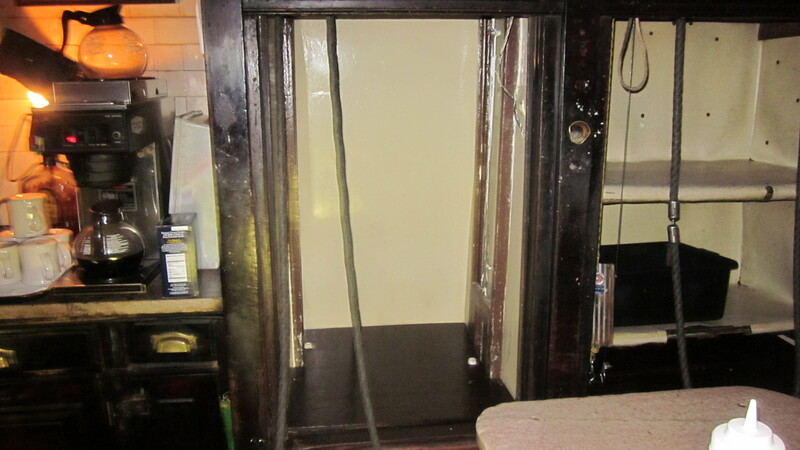 You were stumped. And what of that famous burger? 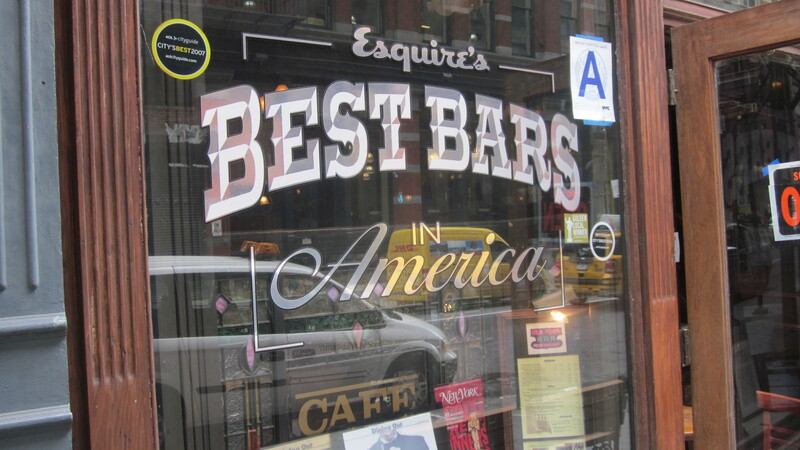 Where does it rank on your New York burger meter? 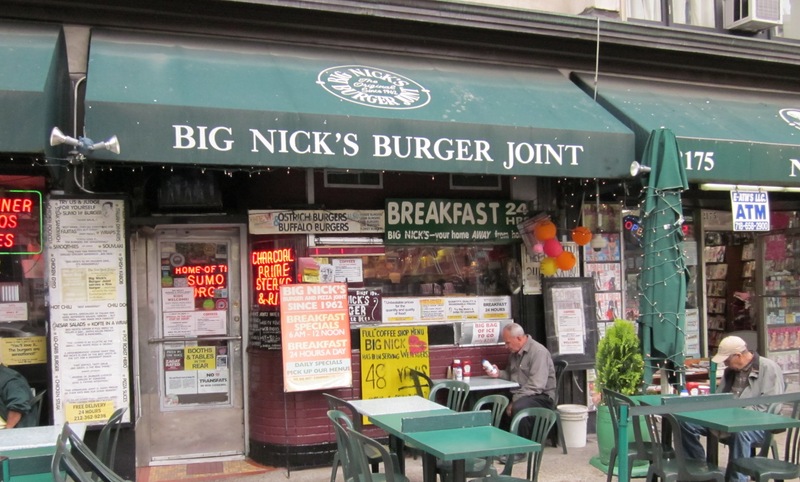 I learned of the demise of Big Nick’s Burger Joint the other day. 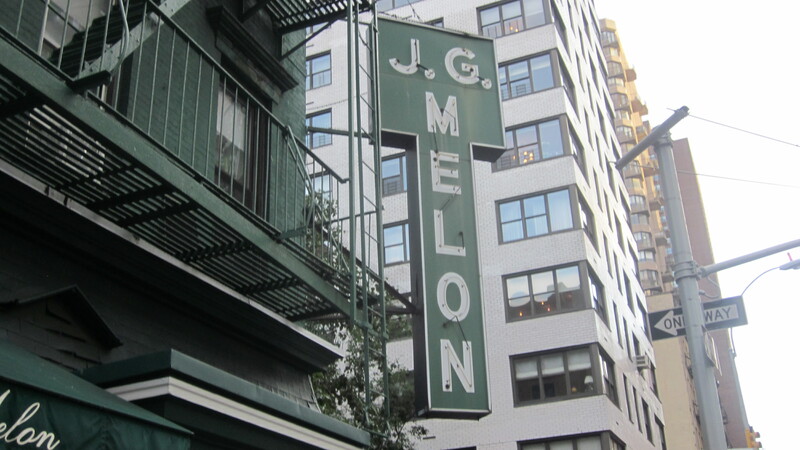 I knew, of course, that a restaurant of its humble stature would surely be in peril during these distressingly haughty times, still I can’t deny that I was saddened. 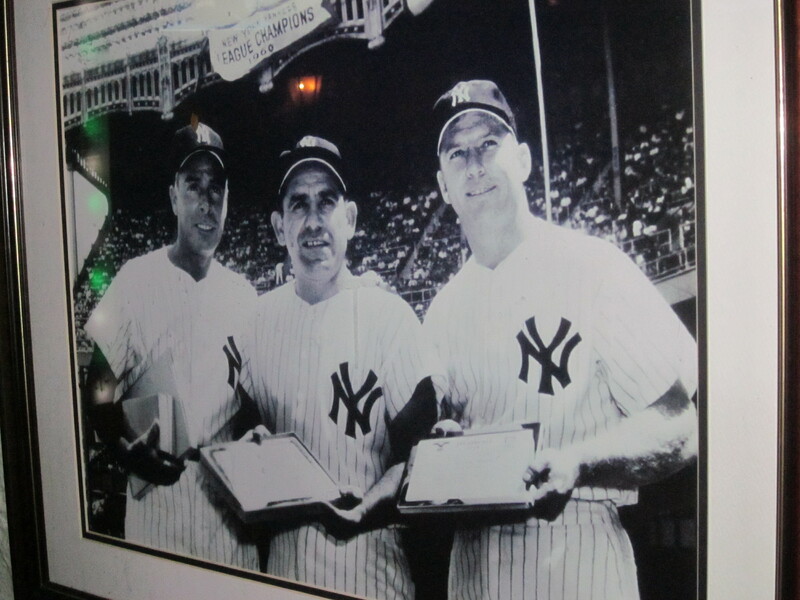 Here then is a photo tribute to what was surely a beloved institution. 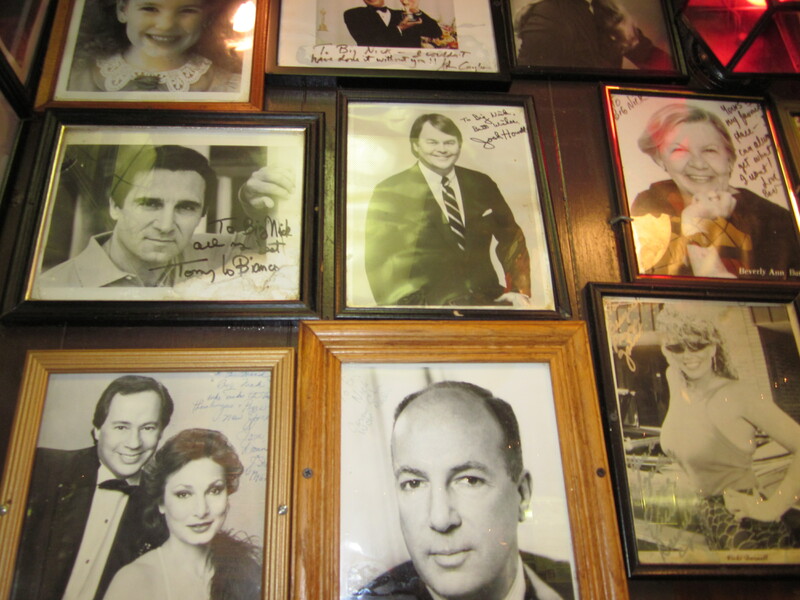 Big Nick’s was a welcome hang out for common folk as well as countless celebrities who left their head shots on whatever spare space that could be found on the small restaurant’s storied walls. 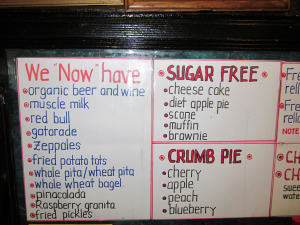 Besides being the home of the famous “sumo” burger, Big Nick’s menu was more like a Michener tome where you could order everything from a Red Bull to fried pickles. 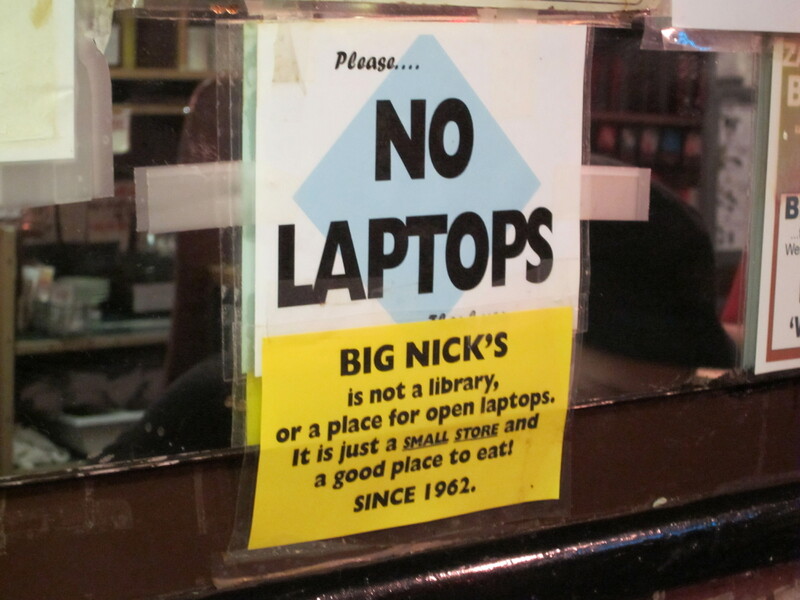 Finally, Big Nick himself was a visible presence and his many credos were scrawled on numerous signs throughout the great restaurant. 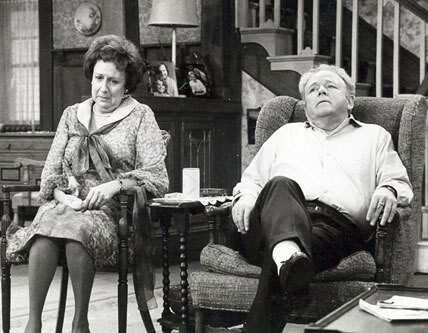 To disobey one, meant getting on his bad side; a place you did not want to be. 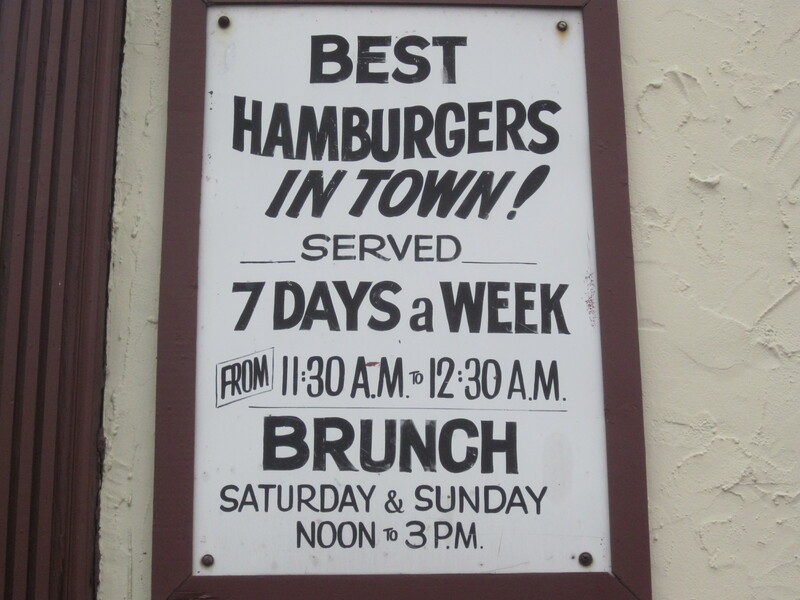 There was a time when the type of beef used in making a basic diner/coffee shop burger was never disclosed. We didn’t know if the diner ground the meat or not. 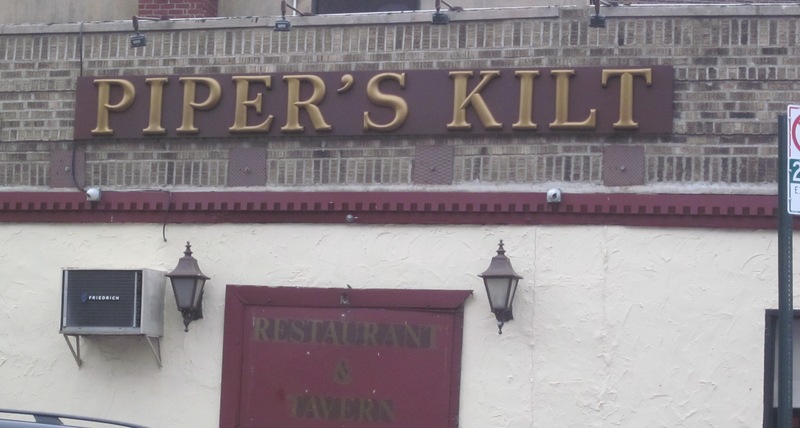 We didn’t know if they made the patties themselves or if they were pre-made. The beef patty—or should I say the slab of chopped beef—was tossed onto a hot griddle, or, in some cases, a grill, and cooked until done. 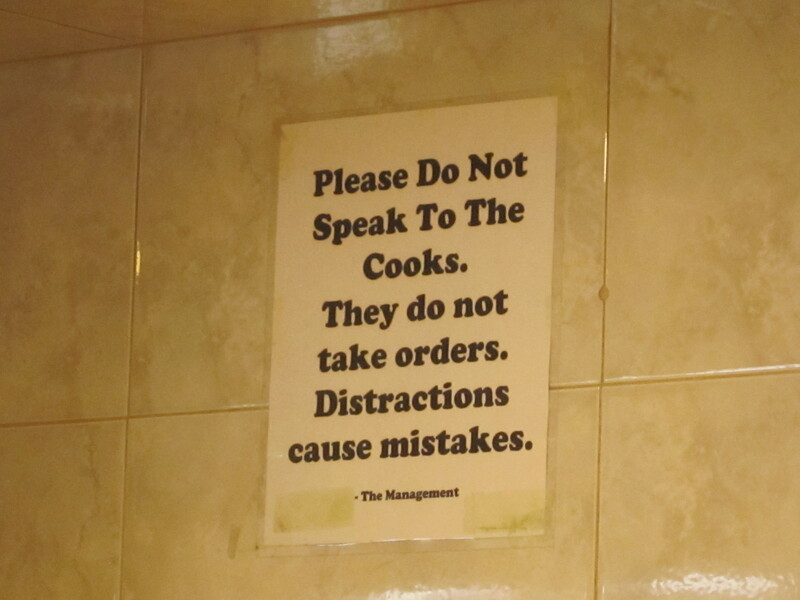 “How do you want it cooked?” was never asked. Once done, some cheese (for a few coins more) was melted onto the meat. The patty was then was put onto a bun with a leaf of iceberg lettuce, and a slice of tasteless, out-of-season tomato. 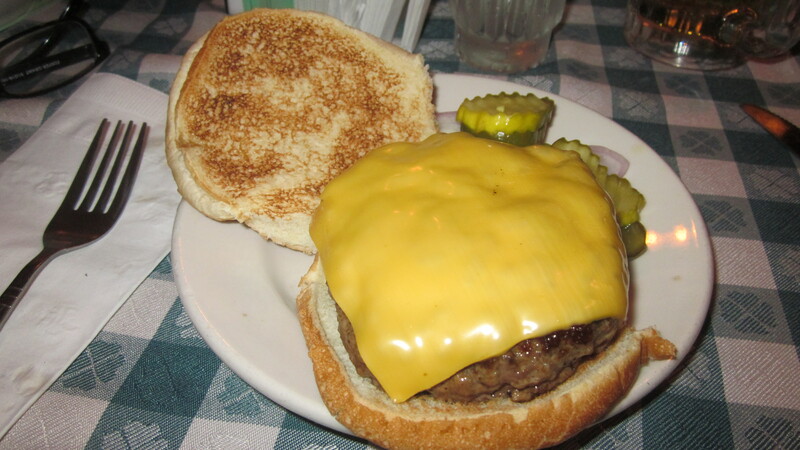 In various instances, a pickle and grilled or raw onions were also added to the bun. 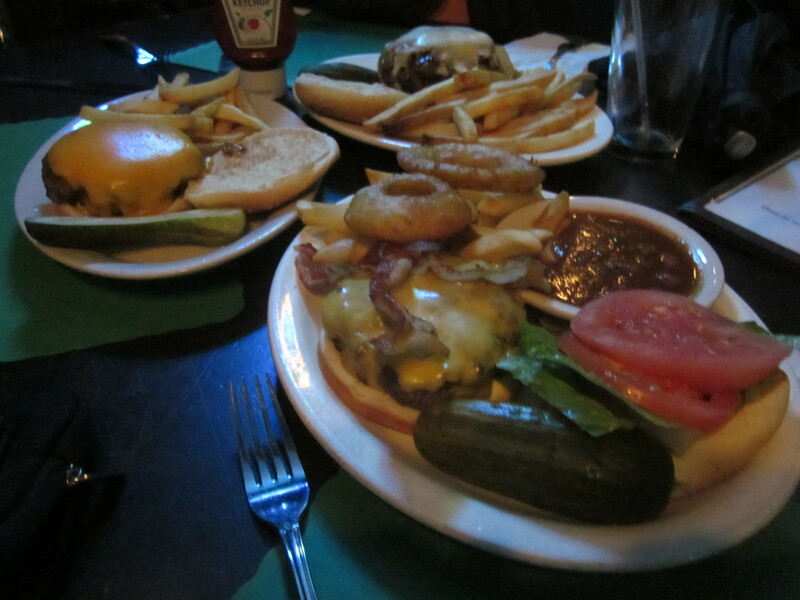 The burger was assembled onto a plate surrounded by French fries. 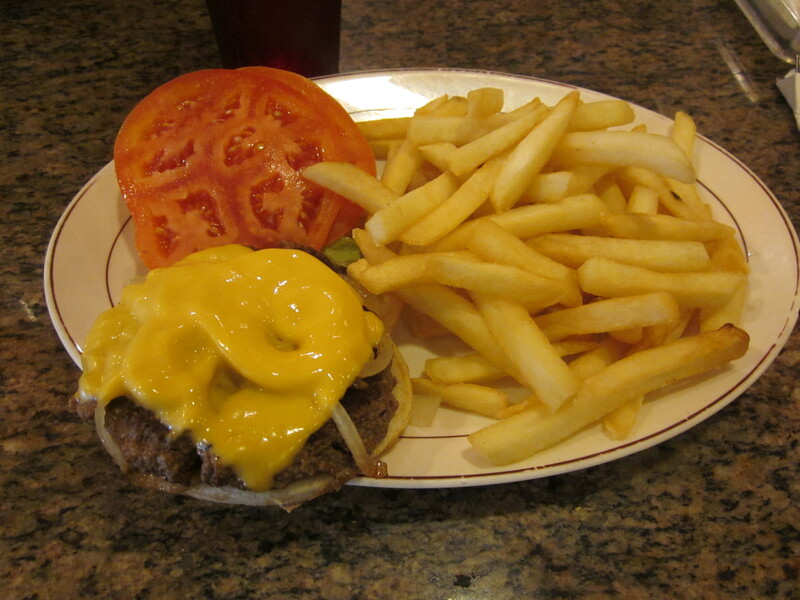 This was the prototypical “Burger Deluxe” found at countless diners, luncheonettes, and coffee shops when I first moved to New York. And I ate at a lot of them. Many food folks these days, when given their weekly—or monthly—burger allowance, would rather spend it at a place where the beef is derived from animals that eat only grass, never consume hormones or supplements, and are treated with the utmost kindness before being slaughtered. And I can’t blame them. In most instances I would rather travel to a shack, bistro, or joint for a high quality, organic, grass fed, humane, rare or bare, juicy five napkin burger. But sometimes nostalgia gets the better of me and I just can’t help myself. 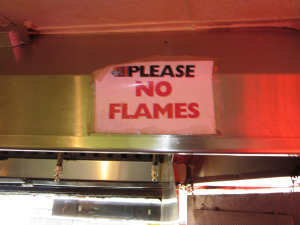 That’s when I yearn for the “burger deluxe.” And, thankfully, they are still out there. There’s a soul classic called Across 110th Street, by the great Bobby Womack. 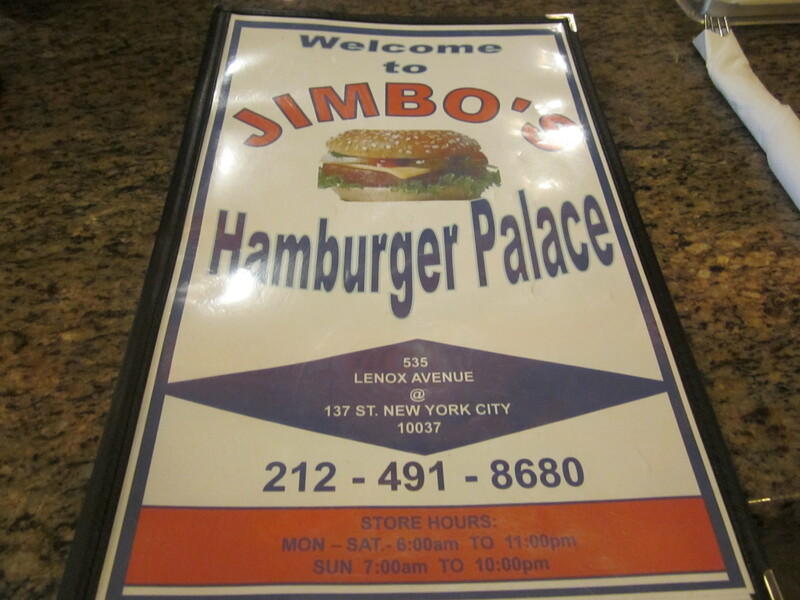 And north of that street, from river to river, is where you will have your pick of a mini-chain of diners called Jimbo’s Hamburger Palace. 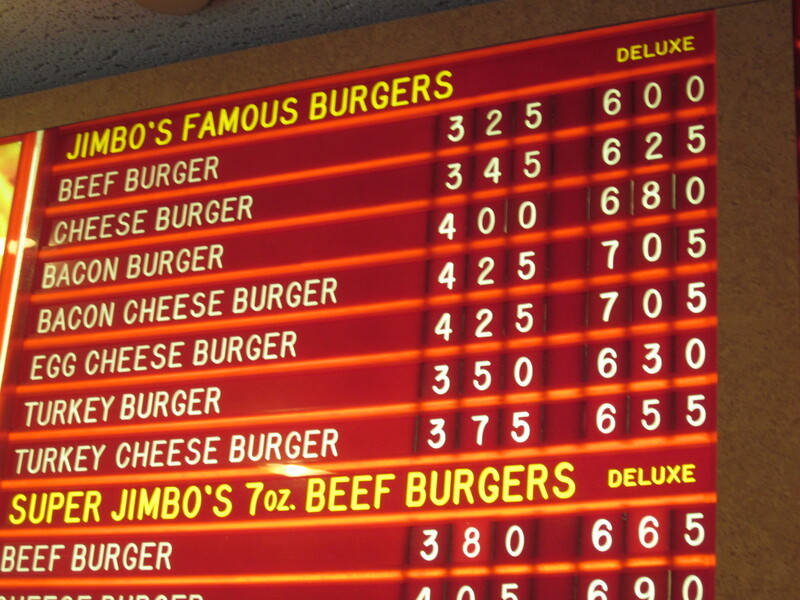 At Jimbo’s, the “burger deluxe” is a mainstay on the menu. 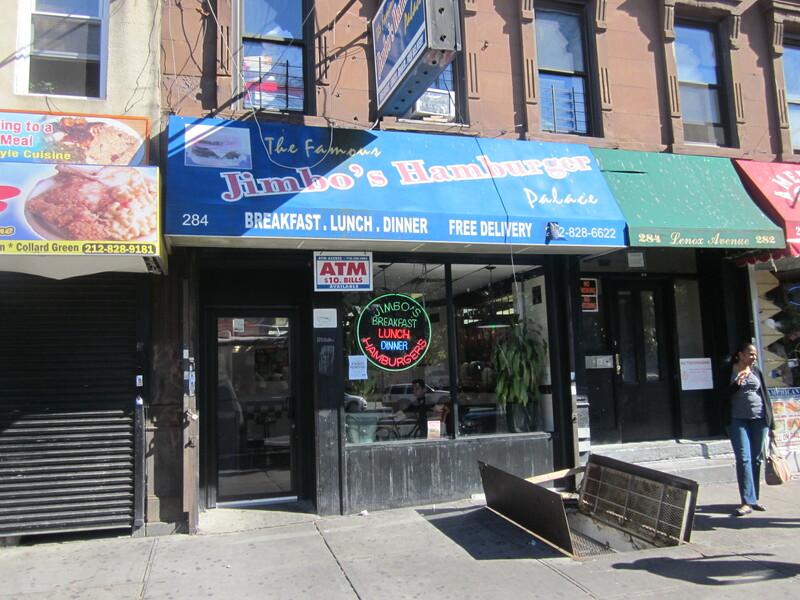 Jumbo’s on 116th Street, not to be confused with Jimbo’s, and how could you? 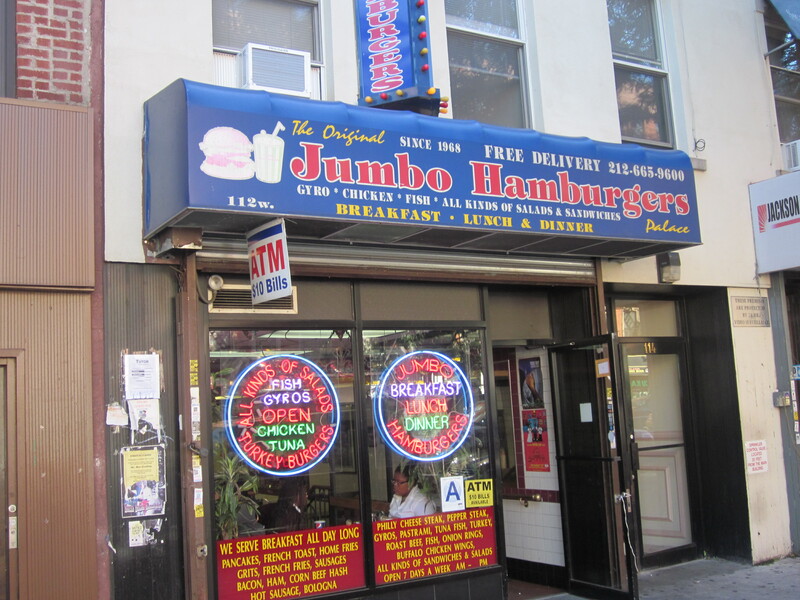 To satisfy my nostalgia craving, I found myself at the Jimbo’s on Lenox Avenue across from Harlem Hospital. I sat at the pristine counter and, not bothering with pondering the sandwich wraps, gyros, or delicious breakfast options, went directly to the cheeseburger deluxe. The waitress who took my order did not ask me how I wanted it cooked. She didn’t even ask what type of cheese I wanted. She only asked if I wanted everything on it which I assumed were the various vegetable condiments. I said I did. 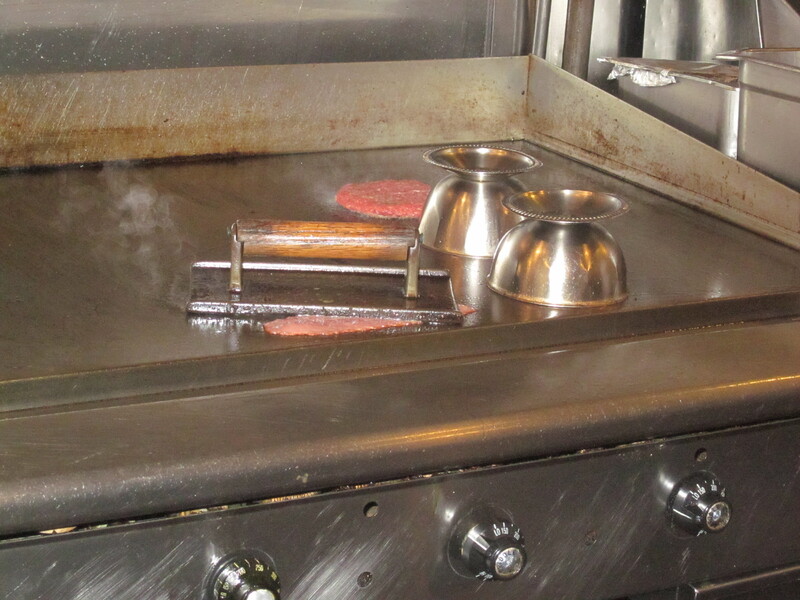 From my seat I watched as a generous patty/slab of meat was tossed onto the hot griddle and then covered with a bowl to steam heat it through. It wasn’t long before the cheese was added—a thin slice of bright orange American. The bun was assembled by another cook, a slather of mayo, iceberg lettuce, a few grilled onions and two slices of an under-ripe tomato. It took enormous self control, but I was able to keep my mouth shut. 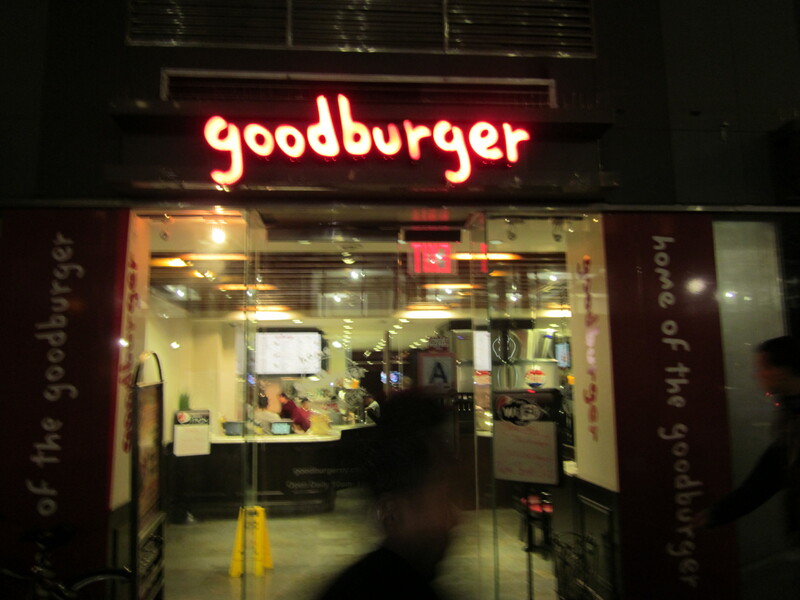 The fries were frozen, dumped into a deep fryer and then scattered around the burger. Ketchup came in a red squeeze bottle. I decorated the burger and the fries with it. Though if I had been asked, I would have said “medium rare,” in regards to how I wanted it cook, but really, it didn’t matter. The meat was cooked the way a burger deluxe should be cooked; juices running from it dampening the bun, the ketchup, tomato, and thin layer of mayonnaise all melding together to form a perfect hot mess. The fries, however, were another story. Maybe my memory of past burger deluxe experiences have dimmed so much I forgot how tasteless the fries were. Or maybe it’s just that I doused them so thoroughly with ketchup it never really mattered how they tasted. How could fries like these make a burger deluxe? And then I realized that of course they did. That the starchy blandness of the frozen French fries bolstered the already intense flavor of the meat—they were the perfect accompaniment. Sometimes it’s hard to control our base urges. 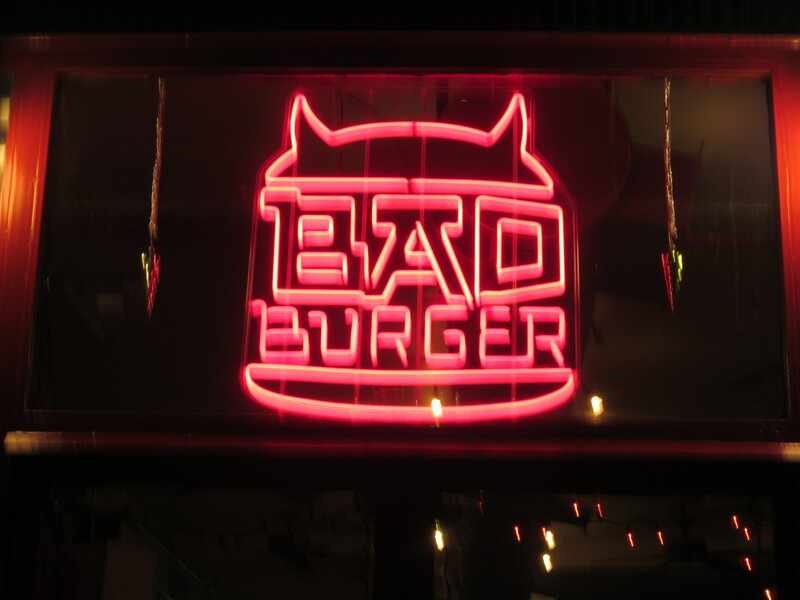 The craving for something wicked can be a powerful temptation. But before I plunge into deviance and depravity, my ” super ego” won’t let me. 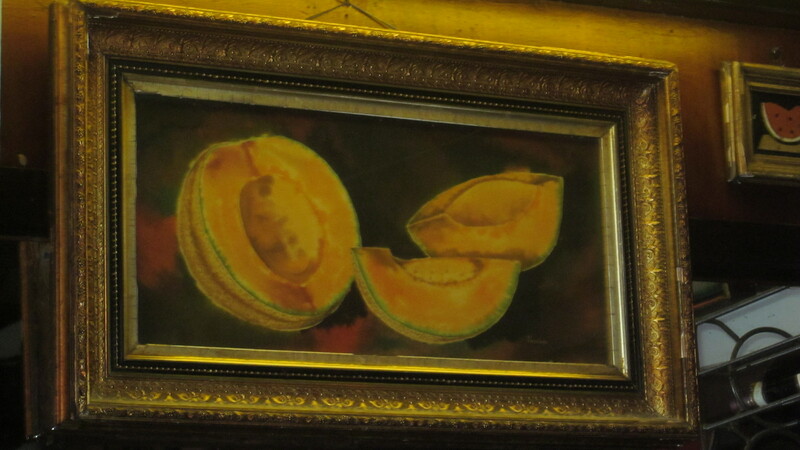 And then another alternative presents itself. 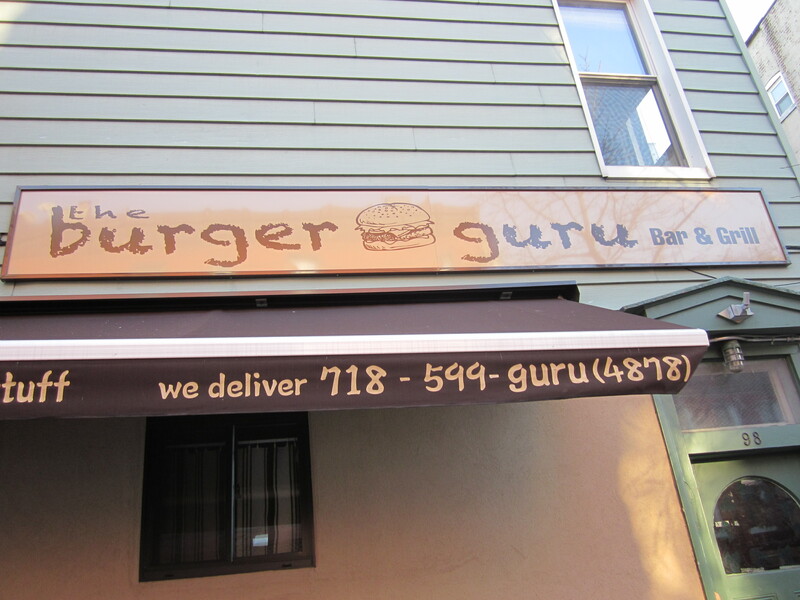 Tell me wise guru burger; will I still be a good person if I have the bad burger?